Marianne Lumb: the Jewel chef of the crown! More Female Chefs. Other Bristish chefs here. Other Casual chefs. 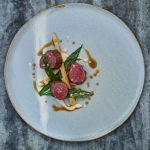 Marianne Lumb is a professional chef from Leicestershire. A butcher’s daughter, born in Melton Mowbray, England, Marianne Lumb is a classically trained chef (Gravetye Manor – 1 Michelin star). 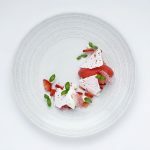 After dropping out of an architecture degree at UCL London in the late 1990s, she began her classical culinary training in restaurants like the Michelin starred Gravetye Manor in West Sussex. 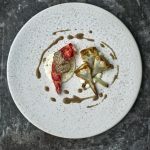 Marianne Lumb became a private chef in 2000, working across the UK, America, Australia and the Mediterranean, gaining extensive knowledge of seasonal cuisine. Her clients have included George Soros, and the Sainsbury and Bamford families. In 2009, Marianne Lumb reached the finals of MasterChef the Professionals series 2, and also published her first book “Kitchen Knife Skills”. 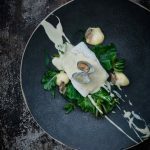 In 2013, Marianne Lumb opened (having built from scratch) Restaurant Marianne in London’s Notting Hill to critical acclaim. 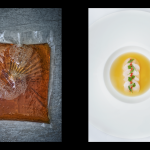 Just after opening she was awarded AMEX London Restaurant Festival “Chef of the year” and last year (2017) won London’s “Top Gastronomic Experience” by Harden’s guide. She has a huge passion for truffles (cooked at Western Australia’s “Truffle Kerfuffle” 2018). 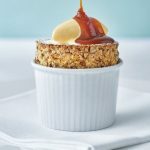 She also loves to create beautiful soufflés, her current favourite being “malted gingerbread Souffle”, with clementine ice cream and butterscotch. After 5 years at the helm of her eponymous Restaurant, Marianne Lumb has now left to refresh her repertoire and to live her dream of cooking and travelling. She is planning to head to Asia to specialise in Thai food, before moving on to the Caribbean. More Female Chefs. Other Bristish chefs here. Other Casual chefs. Go Back Home.